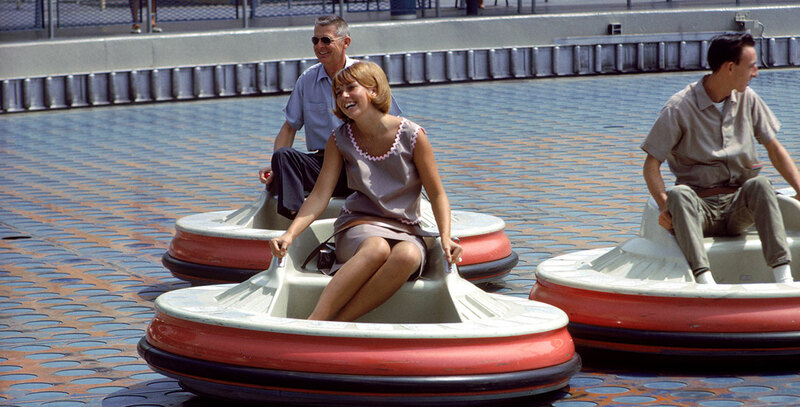 Flying Saucers Tomorrowland attraction at Disneyland, from August 6, 1961, to September 5, 1966. Individually controlled vehicles floated on a cushion of air, but the technology was not perfected and the attraction was constantly breaking down. It was one of the worst maintenance headaches at Disneyland, as the technicians continually tried to keep it operating. Eventually, they gave up.